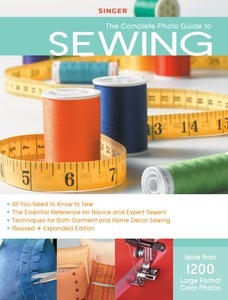 The Complete Photo Guide to Sewing – Revised is the one reference every sewer needs. Its 352 pages and 1100 photographs cover every aspect of fashion and décor sewing. Sections include choosing the right tools and notions, using conventional machines and sergers, fashion sewing, tailoring, and home décor projects. Included are step-by-step instructions for basic projects like pillows, tablecloths, and window treatments. Sewers from beginners to the skilled will turn to this book again and again.